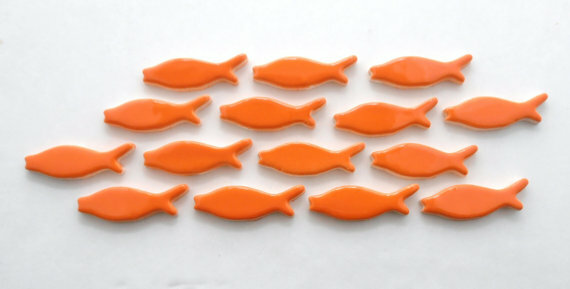 The embossed fish tiles come in many different colors. Let me know using the contact us page if you need a mixture of colors. 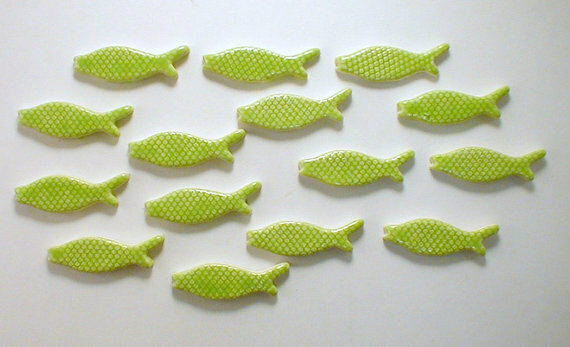 The laced embossed fish tiles are 1 3/4 inch (4.5cm) in length and 3/16 inch (4.5mm) thick. Please refer to picture and use the ruller as a guide for the size.